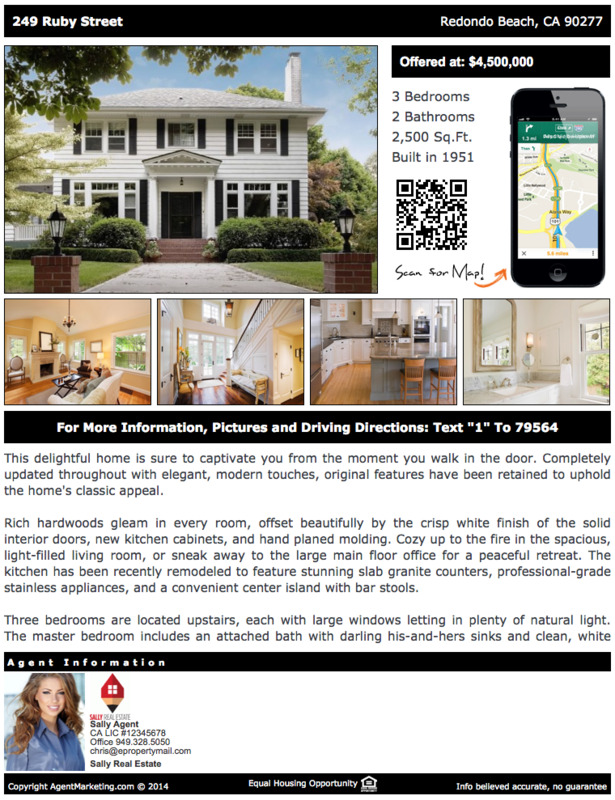 Do you want your flyers created automatically when you list a home? 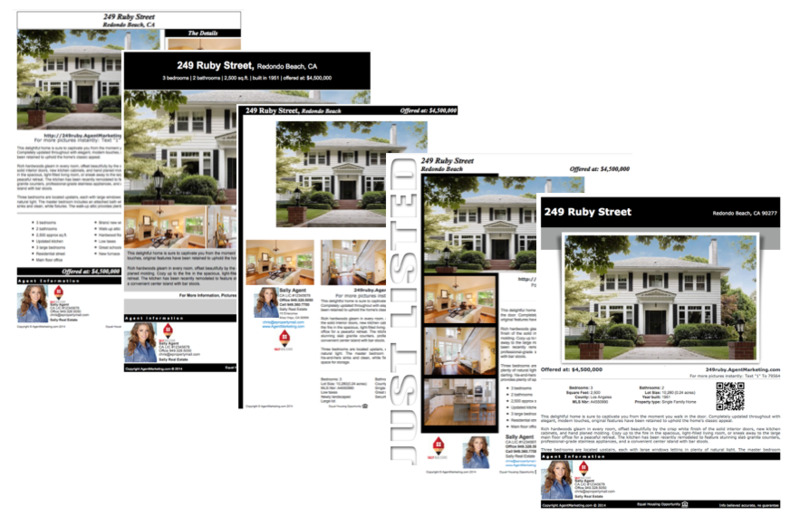 We create a bunch of layouts instantly that showcase many things about your listings. 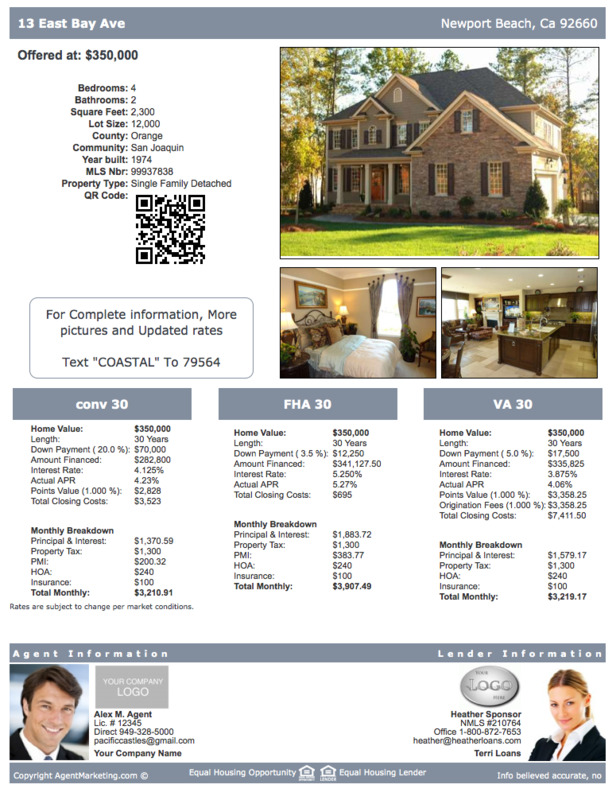 One of the main things to look for in a Real Estate Flyer Template is that it takes the consumer from offline to online, as it is there that you can really grab their attention and build trust. In a Google world, information is everything and your Flyers should provide enough data to get consumers to your mobile or online collateral explaining more details about the home your have listed. Financing Flyers to help buyers find out which payment is best for them. Having all the information on your listings displayed instantly couldn't be easier. Driving buyers to the mobile technology helps to attract the most leads possible!